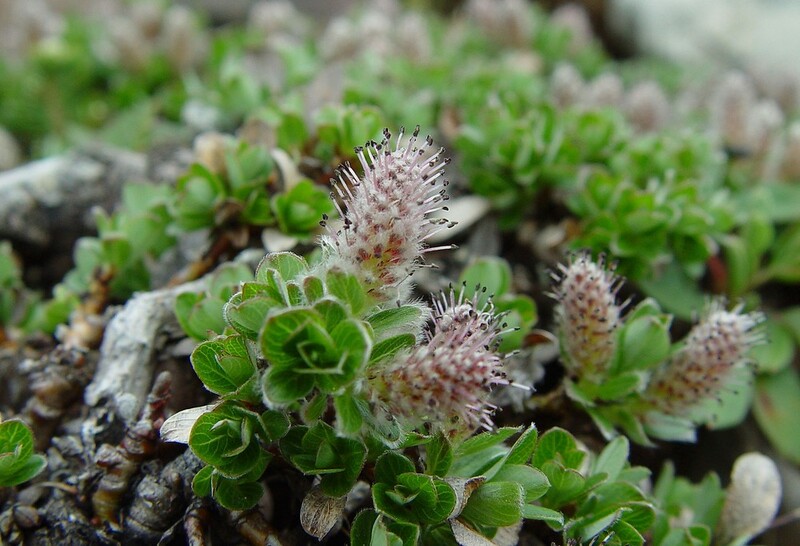 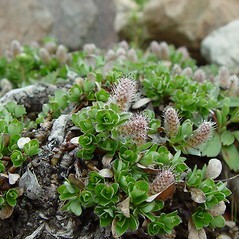 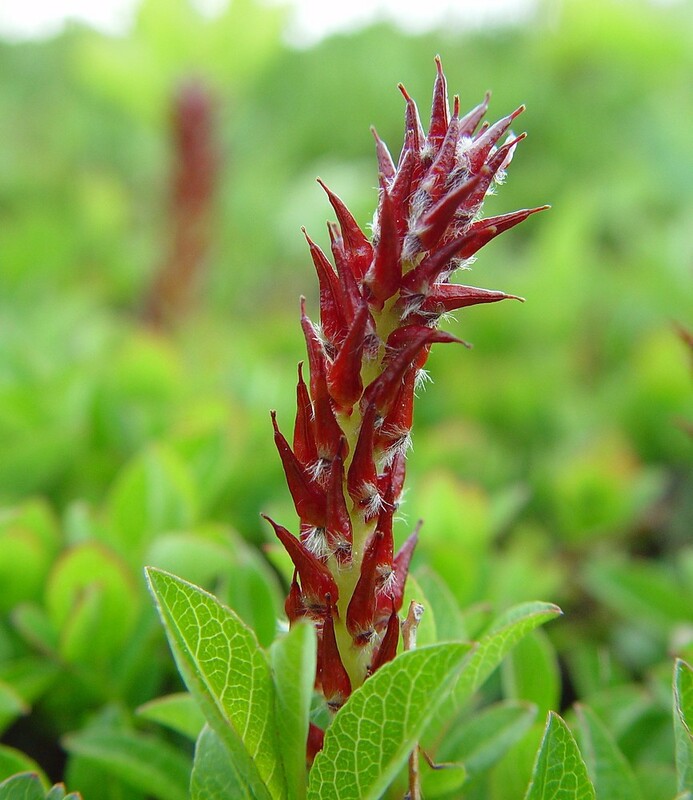 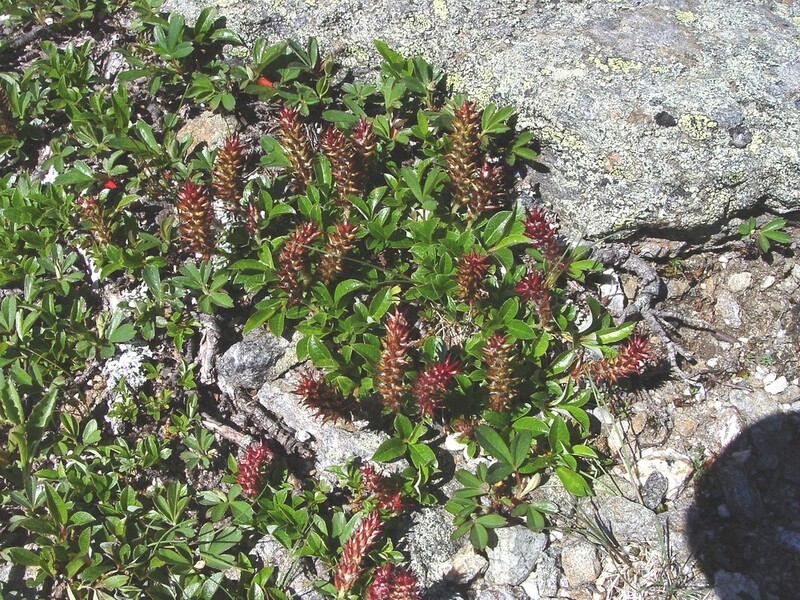 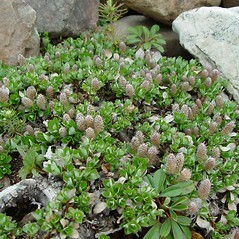 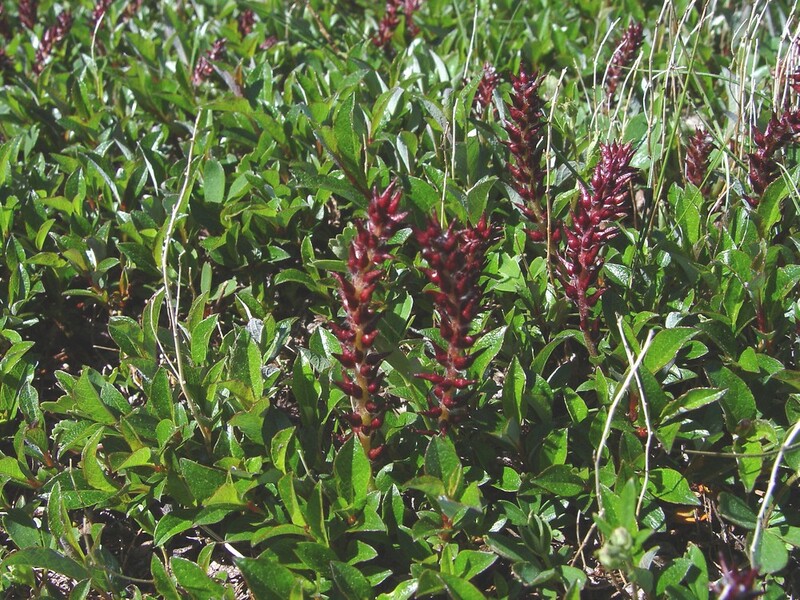 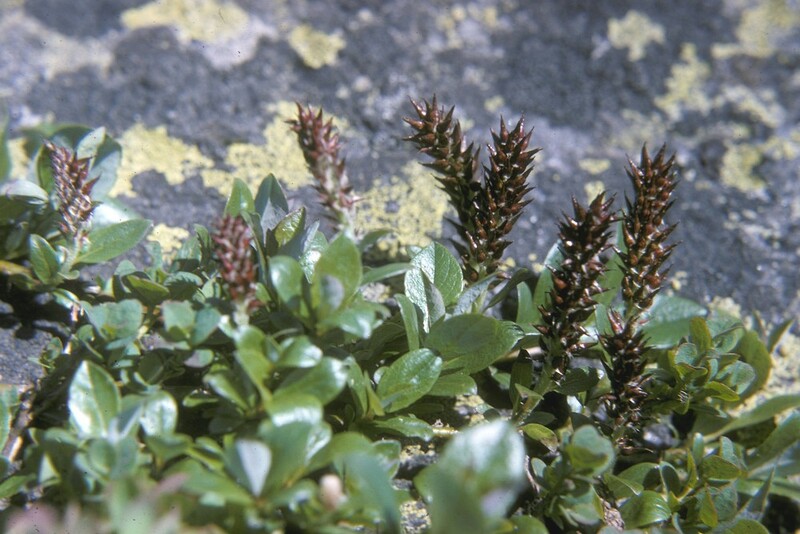 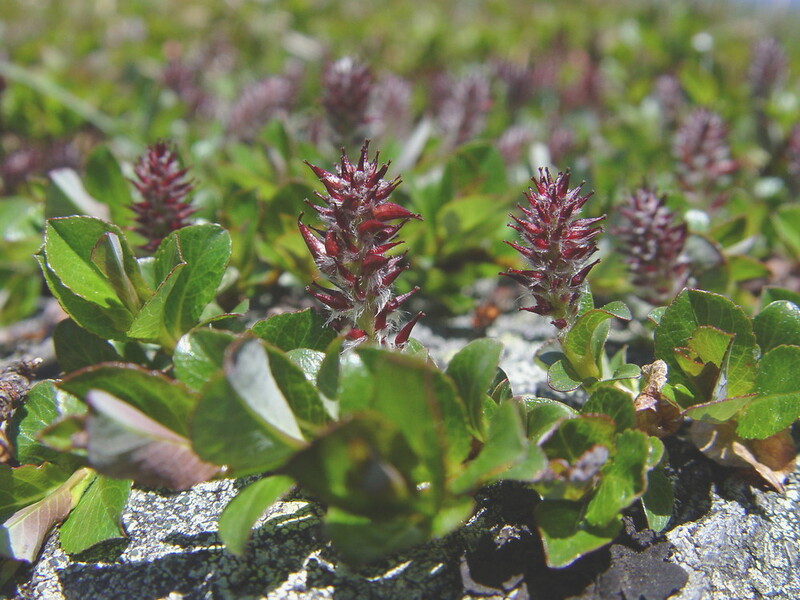 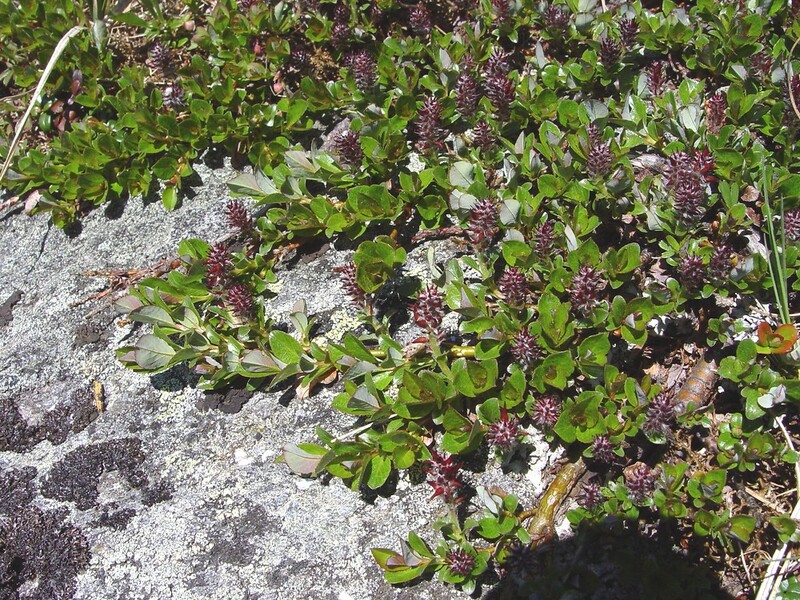 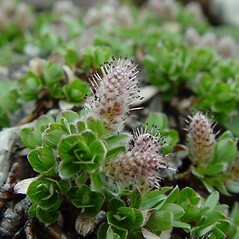 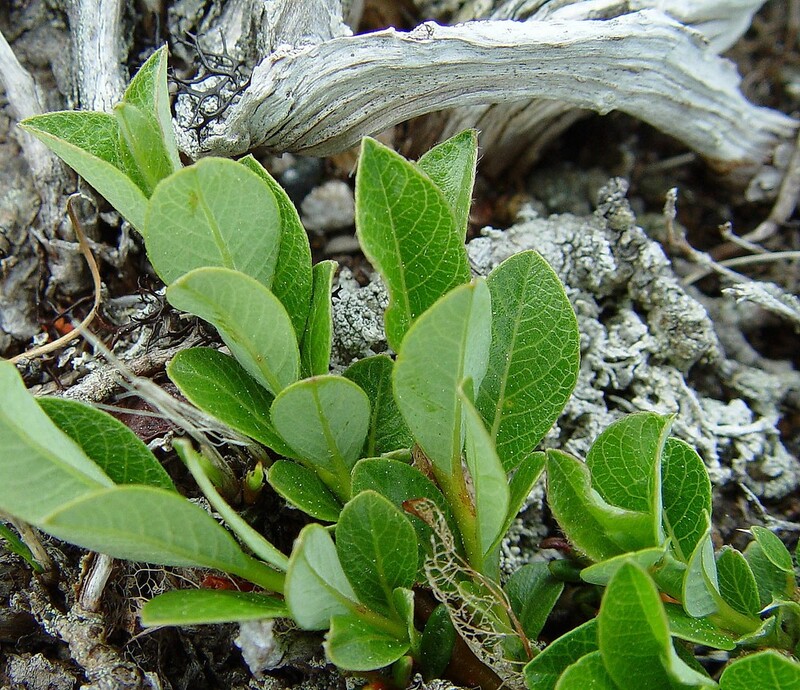 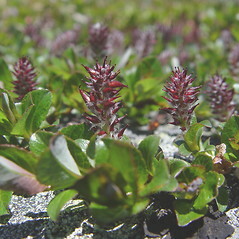 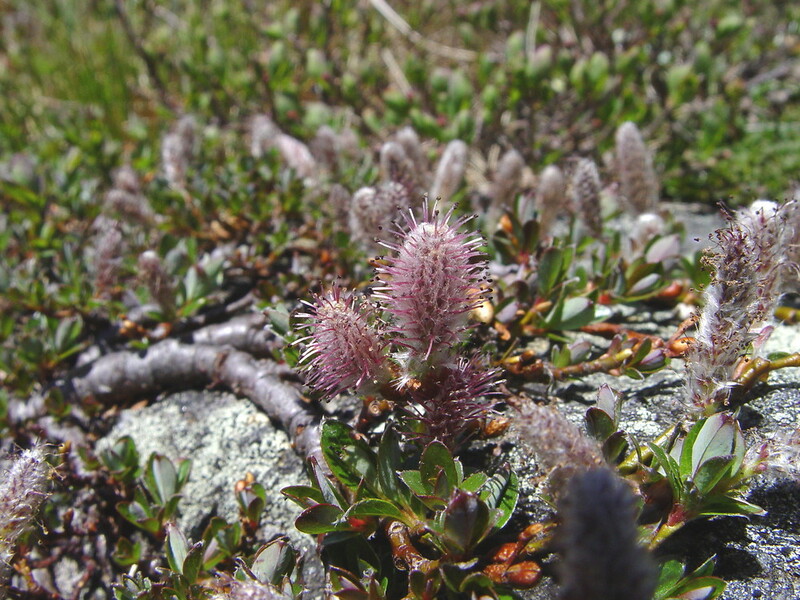 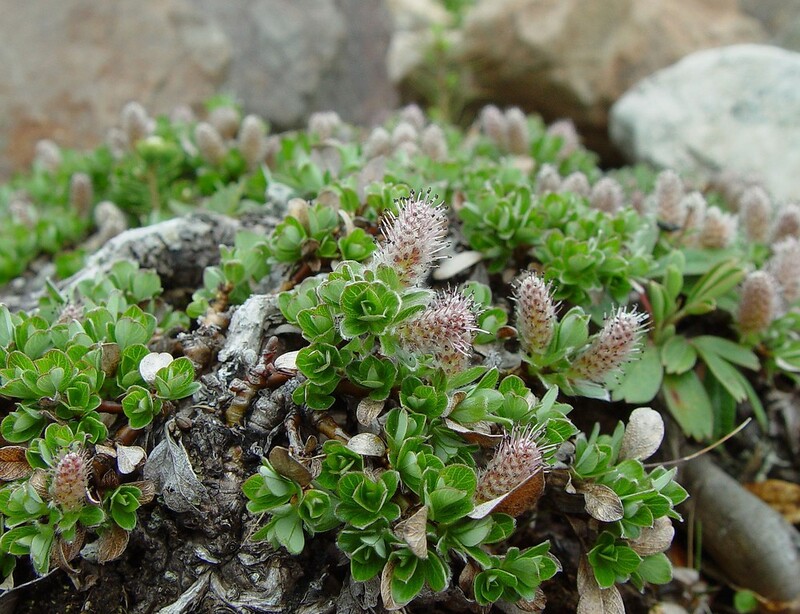 Salix uva-ursi is a dwarf shrub of high elevation peaks in New England. 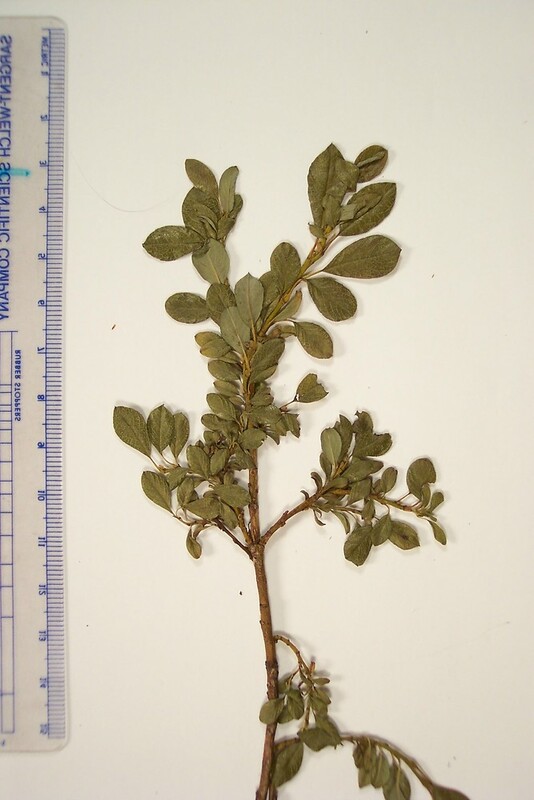 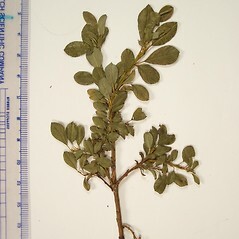 Its habit is one of trailing growth that rarely reaches 10 cm in height. 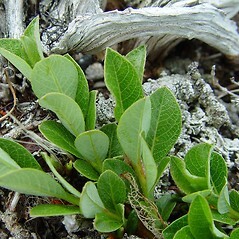 leaf blades 10–25 mm wide, oval to suborbicular, rounded to retuse at the apex, cordate to truncate at the base, green abaxially (vs. S. uva-ursi, with leaf blades mostly 2–10 mm wide, narrow-elliptic to obovate, acute to broad-obtuse at the apex, cuneate at the base, usually glaucous abaxially). 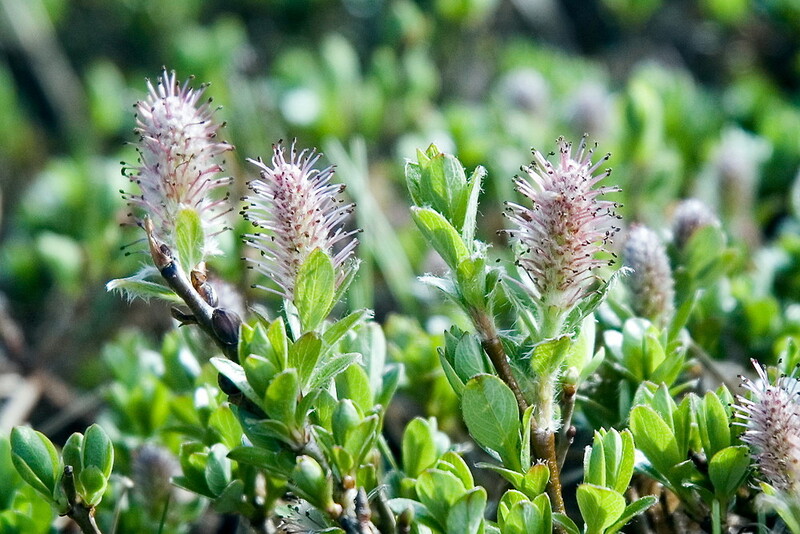 Salix cutleri Tuckerman var. 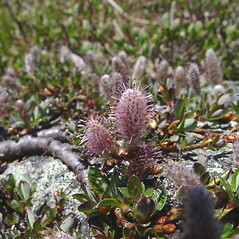 labradorica (Anderss.) 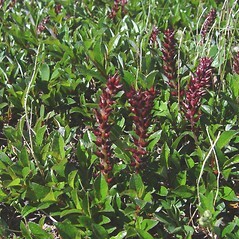 Anderss. 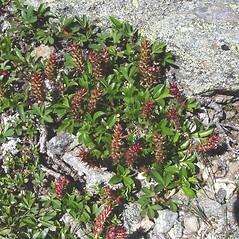 bearberry willow. 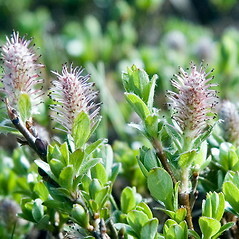 Salix cutleri Tuckerman; S. cutleri Tuckerman var. 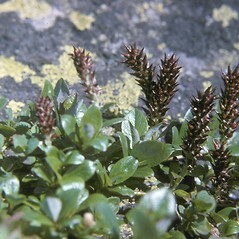 labradorica (Anderss.) 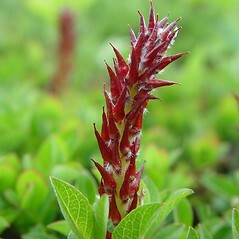 Anderss. 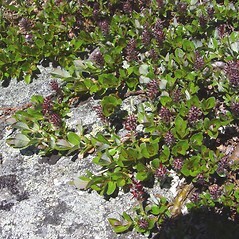 • ME, NH, VT; northern portion of states. 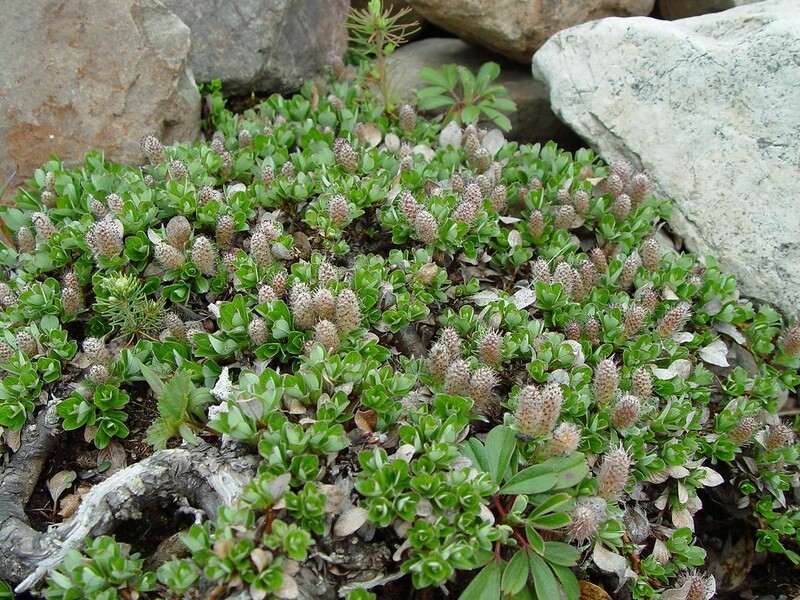 Alpine plateaus, ridges, and summits.